Wrap up a box of children’s books that your kids have outgrown and get them into the hands of children who could really use a book or two. Donate your books to your local second hand store, library, children’s hospital, or nonprofit organization working to ensure that all kids have access to books. 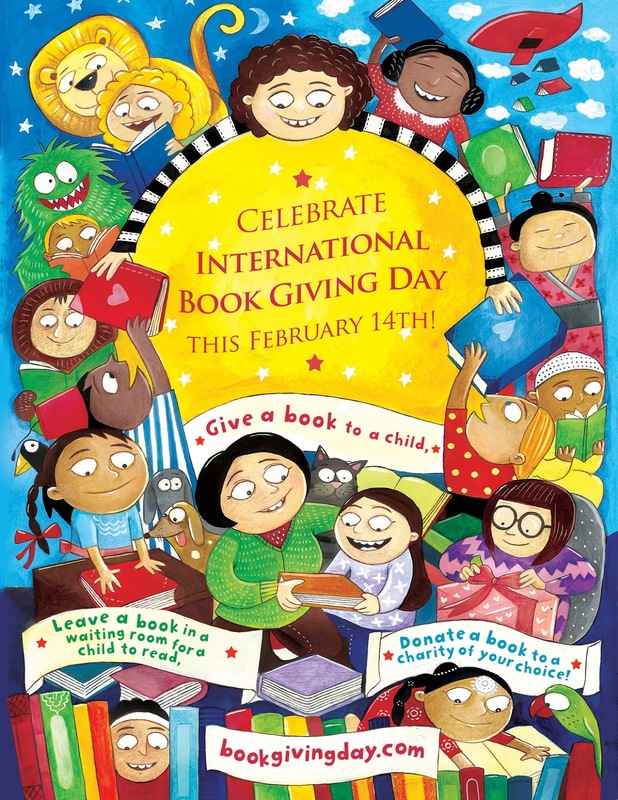 Add your name to the list of people giving books for International Book Giving Day at http://bookgivingday.com. Share photos of International Book Giving Day festivities by adding the hashtag #giveabook to Instagram photos. * The International Book Giving Day poster is by Indian children’s illustrator Priya Kuriyan. Woot woot! Please feel free to print copies and hang them in your community.